Unique and eclectic are two words that come to mind when the band British Sea Power is mentioned. On March 31, 2017 the band will be releasing their 10th studio album Let the Dancers Inherit the Party their follow up to 2015’s Sea of Brass. Their latest effort finds the band again following their own muse producing an arresting work and probably one of their most political. 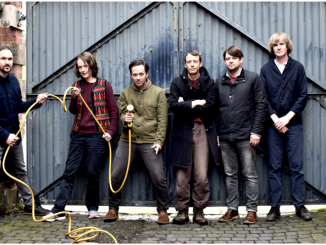 British Sea Power was formed in 2000 in Brighton, East Sussex by brothers Jan and Neil Wilkinson. Their idea of launching a band took off during college with the addition of band members to the cause including their school friend Matthew Wood. In the early days the band developed a strong following in Brighton due to their club night called Club Sea Power. Their unusual lyrics and adventurous choice of venues would win them even more adherents. 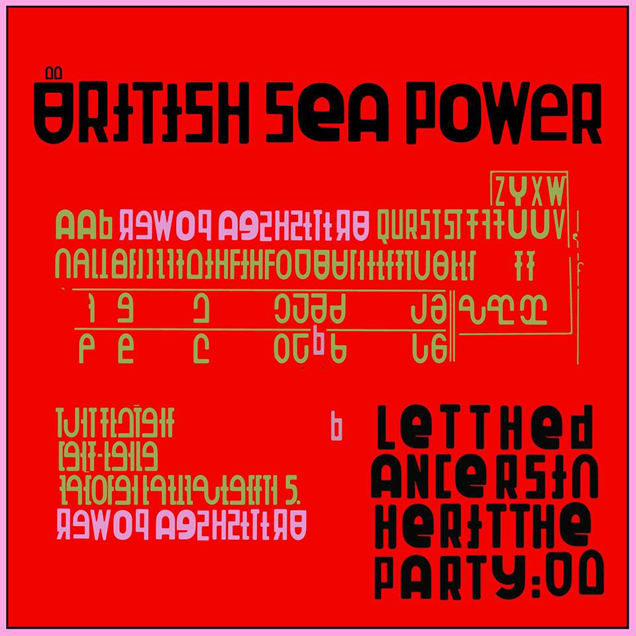 The album that placed the band on the musical map was The Decline of British Sea Power released in 2003. The song Carrion from the release was their first top 40 single. Word of mouth about the album helped them to make a dent in the lower regions of the UK album chart, and additionally won them a dedicated fan base. That success led to albums that continued to emphasize what a unique talent the band contained. In 2008 BSP would be nominated for the Mercury prize for their album, Do You Like Rock Music. The band this time around decided to shake things up on the music business side by self funding the recording of Let the Dancers Inherit the Party through crowd sourcing. They would leave behind Rough Trade Records, not a small move as they were the longest contracted performers for the label. Going back to a basics DIY approach energized the band and was described by Jan Wilkinson as such, “It helps us appreciate that there are people who want us to continue and will actually enjoy directly helping us.” This move allowed the band significant freedom on their themes and execution. What results from the new effort is a release filled with powerfully sonics and pop allure. 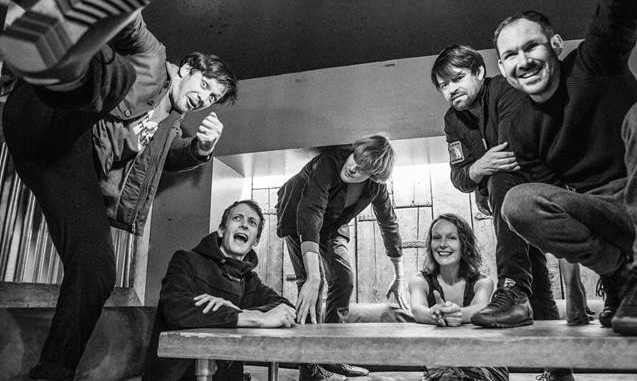 The main theme that British Sea Power circles on the album is thinking globally and acting locally. The lyrics throughout enhance the main theme by decrying how we all are all missing the point of political evil because we are being intentionally distracted by the inconsequential. The release starts off with Intro a delicate ethereal instrumental that slides you into the release, a palette cleanser if you will. The band then immediately goes for the throat with Bad Bohemian. It is a spectacular song filled with Cure like atmospherics, and a bass straight out of “In Between Days” all the while making the song intrinsically BSP’s own. The song speaks to those posers who make sure they are checking all the right boxes to stay in their assigned stereotype because they never want to be a “Bad Bohemian.” It also excoriates chasing youth when you should have the wisdom to know better. It is simply a fantastic song. The most political entry of the collection is Voice of Ivy Lee. Ivy Lee was the first modern propagandist who believed you could quantify human’s beliefs and motivations gaining control with that understanding. This song takes that theory and connects the dots to today’s market research algorithm based society; the song avers that these theories are dangerous to individualism. Portrayed is a society described as lambs to the slaughter being manipulated and controlled by obscured forces. The song itself counter intuitively sounds bright and sunny with a fantastic guitar riff in the last third of the song but the core is dark and alarming. Keep on Trying takes as its theme the idea of six degrees of separation. This idea is referred to by the constantly repeated German words “Sechs Fruende” or six friends throughout the song. The sonics harken to Big Country bagpipe guitar effects and lyrically it has some great catch phrases like “There’s a hole in the ozone every time you speak.” It is equal parts clever and eclectic; pure trademark BSP. A grower on the release is the truly brilliant Electrical Kittens. It is best described as a hypnotic spiraling dream. As it unspools there is a feeling of someone having turned off gravity as you float about on the sonic cloud that BSP has created. ; it a definite highlight of the album. From that dreamy peak Saint Jerome dives back into full on rock with glittering guitars and a cacophonic ending. The song is an engaging mood piece that is just as impressive as “Electrical Kittens”. Many albums lose steam as they go along but Let the Dancers Inherit the Party only gains momentum as it unreels. Praise for Whatever presents this noir track that is gothic and sinister and provides the title to the album. The song conveys a feeling of dancing on the edge of the coming apocalypse at the end of all things. Want to be Free is a sensuous ballad with a sleepwalking monologue that paints a melancholy mural with aggressive guitars. Don’t Let the Sun Get in the Way is another great track filled with discordant guitars and drums that build to an explosion of sound. Finally the album is sent off into the ether by the gentle ode Alone Piano that describes the encountering of a piano in the front room growing up and how it inspired Wilkinson’s musical career. It is a touching end to a fantastic album. 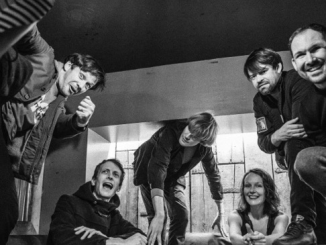 There are times when critics have written off British Sea Power as too eccentric or esoteric. However Let the Dancers Inherit the Party has its feet planted on the ground and is totally relatable. It is a splendid collection of tracks that retains the listener’s attention throughout. The lyrics are clever and wry with just the right amount of introspection. The sonics are musical mastery with textures and layers that make it a worthy headphone experience. In a month of really solid indie releases, BSP is giving other bands a run for their money.